New Year’s Eve at the RG Club! - Yo! Venice! Home Venice Beach California New Year’s Eve at the RG Club! 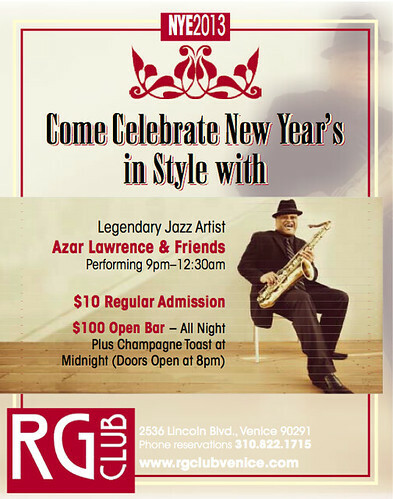 New Year’s Eve at the RG Club! Want to wear your finest and have a romantic New Year’s Eve in Venice? 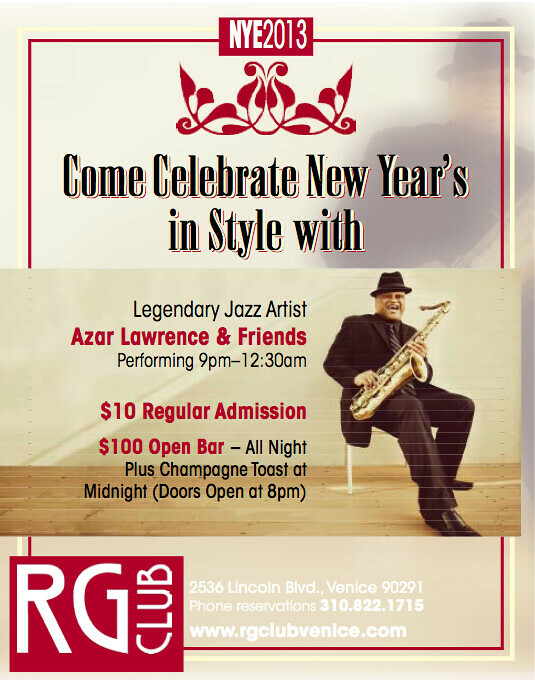 The best place to do so will be the RG Club, with jazz great Azar Lawrence bringing in the New Year! Azar will be performing from 9pm-12:30 am, the bar is open until 2! Admission is an easy $10 with an open bar option for $100! Couples, groups of friends and singles: dress up and enjoy!